The Activator Methods® Technique has been around for almost 46 years. It is an instrument assisted adjusting technique that can be used to adjust almost any joint in the body without the twisting or popping that seems to make some patients nervous about going to the Chiropractor. Properly used, the Activator is more than finding the high or tight spot and “knocking” it back into place. The Activator Methods® protocol that has been tested and researched extensively uses the patient’s own body movements to single out individual joints and instruct the Chiropractor when to adjust, where to adjust, which direction to adjust the segment, and most importantly when NOT to adjust. The vertebral segments of the spine can not only rotate, but they can also shift up/down/left/right and get stuck in other ways as well. By following the protocol, the Doctor is able to find out exactly which way the bone that is misaligned needs to be moved to get the best results. 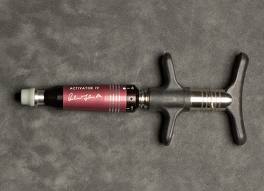 Many of the Chiropractic Colleges and Universities teach the basics of the Activator Methods® technique and so many Doctors will claim to use the Activator technique on their websites but they might not follow the actual protocol and just use the instrument to adjust a segment here and there or adjust someone who is nervous about getting a manual adjustment. A “rated” Doctor is one who has gone to additional Activator Methods® seminars and has taken the time to stay up to date on all of the new tests that are out there to “isolate” the segment or joint desired to help the patients in the best way possible. ”Rated” Doctors are put into two different categories Basic Proficient and Advanced Proficient. To maintain their rating and stay on the Activator website the Doctor must go to at least one seminar per year to stay up to date. Basic Proficient- The Doctor has decided to get more training in Activator beyond what was taught in school and has gone to a seminar, taken a test and have proven they have learned the basic protocol for adjusting the spine and are able to follow the protocol. Advanced Proficient- The Doctor mostly (sometime exclusively) uses the Activator to adjust patients. They have already been Basic Proficiency Rated and have gone to another seminar to learn the advanced protocol and have taken another test to prove understanding of that protocol. Each year the advanced seminars focus on and get more detailed training on a different area of the body. For example the last several years they covered the arm and shoulder, the leg and hip, and carpal tunnel. Dr. Shaw is an Advanced Proficient Doctor and loves using the Activator and has seen many patients who have received wonderful results from the Activator Technique. Many of the patients have come to him after being adjusted manually many times and had not fully received relief of their pain. To find someone who is rated and follows the protocol the best way is to go to www.activator.com and search for a Doctor. The results will come up and show the Doctors and their ratings. Contact us today to schedule an appointment to experience the benefits of The Activator Method.